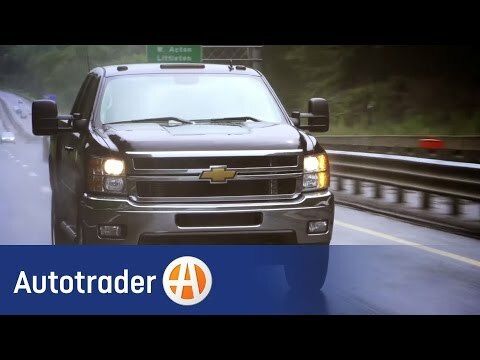 The Silverado 2500 HD and 3500 HD are the heavy-duty versions of Chevrolet's full-size passenger truck. With a powerful V8 engine or an even stouter turbodiesel, these pickups are made for hauling extreme loads and other work-related tasks. Though base models offer few frills, higher-end trims have plenty of creature comforts to go with their prodigious power. Chevy 3500 Silverado diesel with 8 foot bed. Heavy duty and able to pull our 36 foot travel trailer. Has been totally reliable. Ride is rougher than some trucks but not enough to be a problem. Plenty of space in cab area when traveling. Definitely like the running boards and eight foot bed. We can use bed to transport our Harley. While this is a large vehicle, it is not that hard to learn how to drive. It rides smoothly and is fully reliable as a vehicle. The features are simple and not full of items you do not need. It is perfect for hauling large loads and the tow mirrors make it great to park. So far it is proven to be tough. My vehicle is a ranch rig. Used hard on mostly gravel roads or off-road. Usually towing a gooseneck trailer. It has held up quite well. The only problem I have is the air filter clogs easily which causes the pickup to go into limp mode.